The Classic. Pinhead with Lament Configuration. 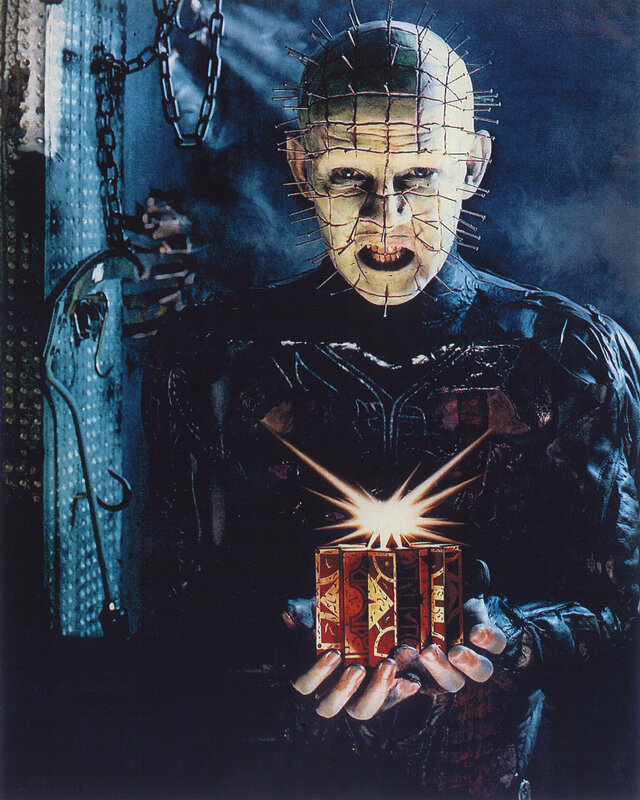 8" X 10"
The iconic image of Pinhead with the Lament Configuration which appeared on the poster for Hellraiser. Taken at a photo-shoot following principal photography.